Customize an old (or new) jersey with some super fan sized cone studs. 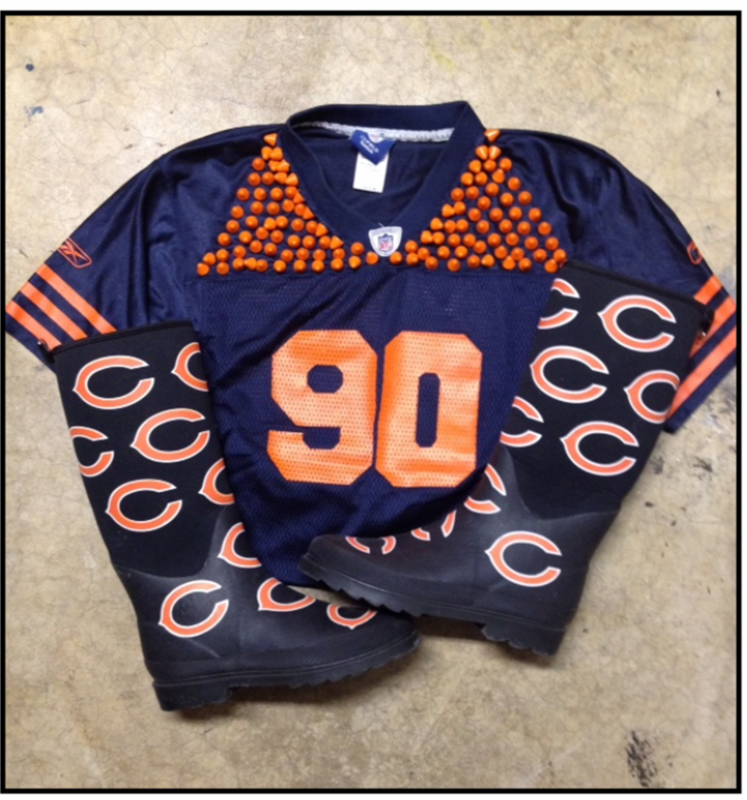 Step by Step instruction can be found on my post, "I DIY FOR: Studded Football Jersey". The return of the Bad News Bears. After three weeks of minimal sacks, exceptional defensive takeaways and clutch 3rd down conversions the Bears reverted to a team from seasons' past with multiple turnovers turned into touchdowns from ill-timed mistakes. The unbearable afternoon actually began well with a nice opening drive that resulted in a touchdown. At a 3-3 tie score to end the 1st it was a toss up, but with a turnover filled 2nd quarter for the Bears that Lions took advantage and scored 27 points to our 10 to take a convincing lead heading into the half. Even though we were down by three possessions there was still another 30 minutes of football to play and if the Bears could start over and play a turnover free half there was a chance for a miraculous comeback. The Bears failed to play perfect and turned over the ball for the fourth time and even with a couple TDs and 2 point conversions it wasn't enough to take the upset. Even though we were slaughtered in the 2nd quarter I like the fact that the players never gave up. Cutler made some devastating bad decisions with the football, but the team can look at this game for improvement against the Saints this Sunday. I like the fact that we're the underdogs since Chicago plays best with a chip on our broad shoulders. There's also an NFL Style Lounge Event at Soldier Field this Sunday so it's a great opportunity to dress a bit more formal and fashion forward. 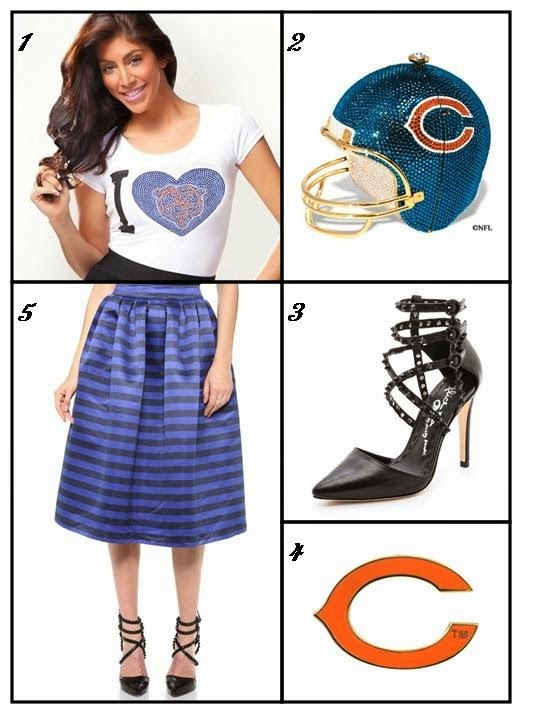 I love the mix of the bold blue stripes and shiny satin material against this crystal Chicago Bears tee. And the whole look gets a sophisticated step up in studded and spiked stilettos! Use the hashtag #BearDownBabes and show me your Bears Fashion for Week 5!